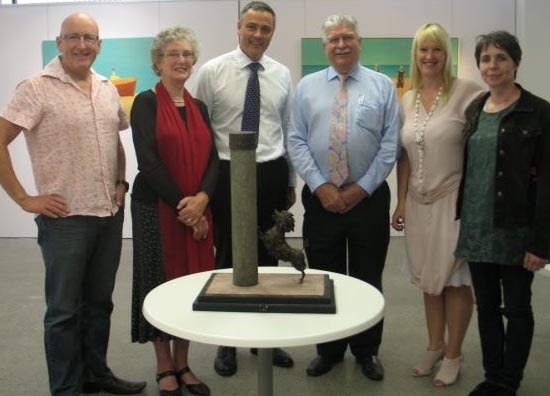 Fundraising for the Hairy Maclary and Friends Sculpture Project on Tauranga's waterfront has taken another step towards meeting its $800,000 budget with a generous donation of engineering support from local engineering consultancy Harrison Grierson. Pledges are coming in and the estimated overall cost of $800,000 includes artist fees, the cost of casting the sculptures in bronze, the installation, insurance and maintenance. 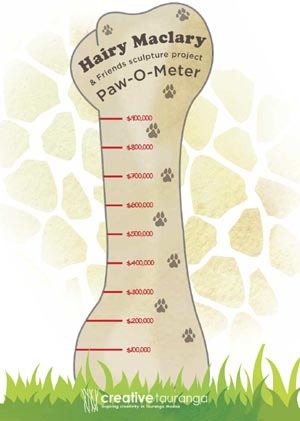 Tracey Rudduck-Gudsell, Chief Executive of Creative Tauranga and the driving force behind the project, says the organisation hopes to raise the necessary funds by mid 2012 and have the sculptures in place in time to celebrate the literary canine’s thirtieth birthday in 2013. Other funding partners to have come on board include the Tauranga Energy Consumer Trust, Priority One (the economic development organisation covering Tauranga and the Western Bay of Plenty), local rotary clubs, individuals and family trusts. Tracey says that overall budget costs are falling as new partners step forward, offering “work in kind” to support the sculpture project. “I want the community to own this project so that it’s a project driven by the community for the community,” she says. “It’s been six years in the planning stages and it’s wonderful to see it all coming together. Dame Lynley Dodd, who wrote the famous Hairy Maclary series of picture books, has lived in Tauranga for more than 20 years. More than nine million copies of her books have been sold worldwide. Tracey also points out that it will be “a legacy of 100 years, providing 100 years of publicity for the project’s partners and funders”. Brigitte Wuest, a designer with Weta Workshop, was selected last month to design the nine life-size bronze sculptures. Brigitte was a lead sculptor for the three Lord of the Rings films; designer and sculptor on The Chronicles of Narnia: The Lion, The Witch and the Wardrobe; and creature designer and sculptor on the King Kong film. The sculptures will be created at Brigitte’s production company premises, Wuest and Wuest, located in Wellington. In February this year, Camilla, the Duchess of Cornwall and a patron of the National Literacy Trust of the United Kingdom, was one of 20 celebrities invited to choose their favourite book to share with children. This was to celebrate the twentieth anniversary of the Booktrust scheme, which gives free books to every baby in the United Kingdom. The Duchess chose Hairy Maclary from Donaldson's Dairy, published in 1983. Charles, the Prince of Wales, and the Duchess of Cornwall are to visit New Zealand in November 2012 and have been invited to open the first stage of the sculpture. Original generation time 2.7728 seconds.